By dedicating a tree or a bench in the Forest Preserves of Cook County, you can honor the memory of a family member or friend, commemorate a special anniversary, or celebrate a new beginning by making a gift that will last for years to come. All tree and bench donors receive an engraved leaf on one of our beautiful, hand-crafted wooden Giving Trees, located the Forest Preserves headquarters in River Forest and the Little Red Schoolhouse in Willow Springs. Please call 312-603-8349 for more information. If you are ready to make your payment now, please click here. We will then contact you ​to plan the details of your dedication. The Forest Preserves of Cook County have more than 340 miles of trails for hiking and biking. Along these trails, a bench offers a place to rest, reflect, and take in the surroundings. Donating a bench helps to beautify the trails and creates a special place to celebrate a loved one or an important event. 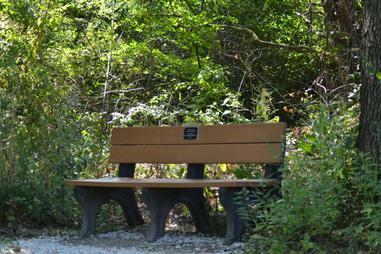 The dedicated bench is installed at the donor’s choice from select locations in the Forest Preserves of Cook County. The bench is made of recycled plastic and comes ​affixed with a plaque. If desired, a notification letter will be sent to the honoree or the honoree’s family. A donation of $3,000 covers the cost of the bench, shipping, maintenance, and installation. The installation date is coordinated with the donor’s schedule. Benches are constructed using recycled materials. 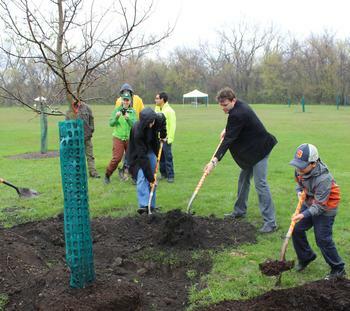 Donating a tree leaves a special and long-lasting tribute to a special person or occasion, while supporting the conservation, education and recreation efforts of the Forest Preserves. The more than 70,000 acres of the Forest Preserves of Cook County are home to a magnificent variety of trees — more than 70 species can be found here. These trees provide many benefits, including habitat for wildlife, improved air and water quality, and a beautiful and vibrant landscape that can be enjoyed by all. ​​- Dedicated trees are planted in the spring and in the fall. – To plant a tree in the spring season, orders must be placed by March 1. – To plant a tree in the fall season, orders must be placed by Aug. 1. Arbor Day (the last Saturday in April), to which all tree donors are ​invited. 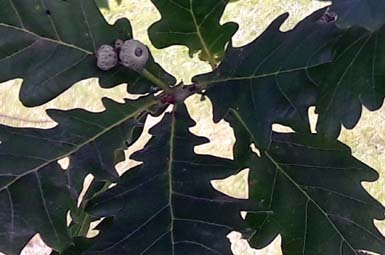 Level 1 ($1,200): Donor gets choice of tree species and location (requires Forest Preserve staff approval); tree diameter at time of planting is 2 inches; leaf plague duration is 10 years. Level 2 ($850): Forest Preserve chooses tree species and location; tree diameter at time of planting is 1 inch; leaf plague duration is five years. All tree dedication donations cover the cost of the tree and its planting, care for the first 5 years, and a framed certificate mailed to the honoree. An engraved leaf plaque will be placed on a donor board at a nature center for 5 or 10 years, depending on dedication level, with the option for renewal. Trees remain dedicated for the life of the plant. Native tree species available for dedication include: American Basswood (American Linden), American Beech, American Sycamore, Blue Beech (American Hornbeam), Bur Oak (spring only), Commendation Elm (Morton Stalwart Elm), Honey Locust, Kentucky Coffee, Northern Hackberry (spring only), Red Maple, River Birch (spring only), and Sugar Maple. If you are ready to place your order, use the form on this page. We will then contact you to make detailed arrangements for your dedication. If you would like more information before placing your order, please call 312-603-8349 and we will be happy to discuss any questions you may have.